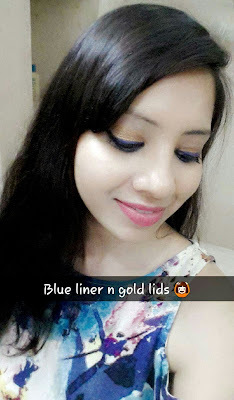 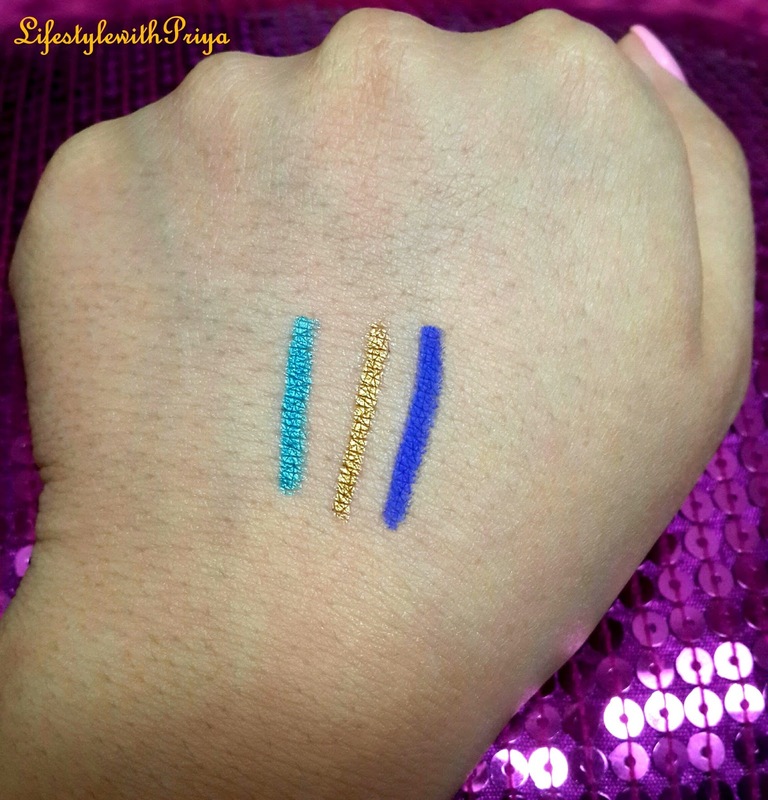 I have delayed this post over a month coz i really wanted to test these liners to tell you if they are worth or not? 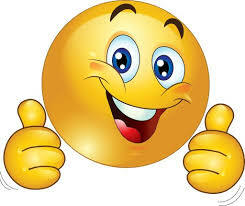 Now, Lets Begin with the Review.. 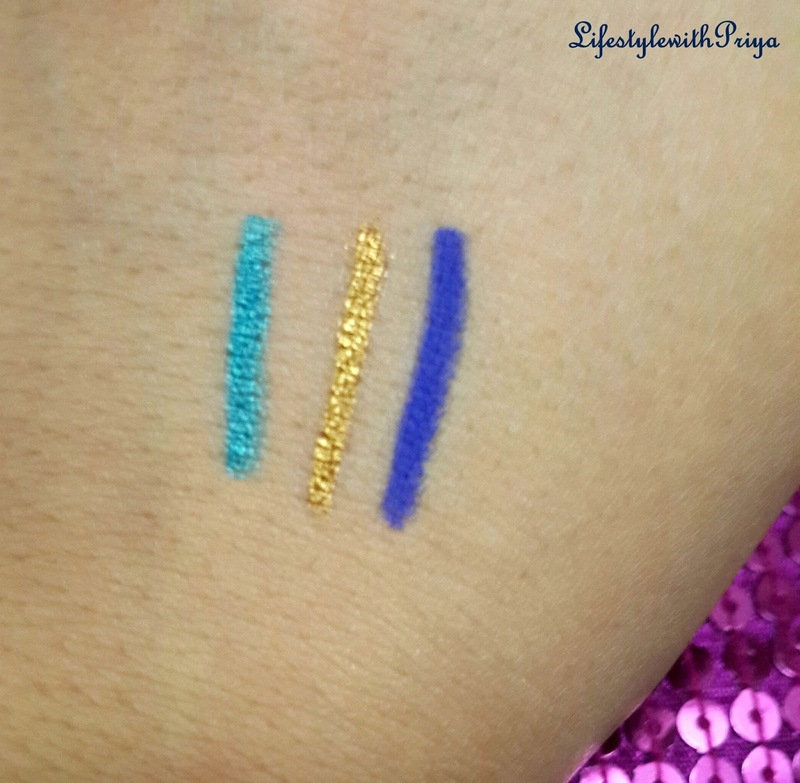 I got 3 shades in this Range and trust me all three shades are super gorgeous..
and All its claims are true except that i haven't tried this pencil for 16hrs but i have for 8-10 hrs and it is SMUGEPROOF! It Retails for Rs 575 for 1.10 gms and its a sharpable pencil and i loveee how it looks, Its packaging it just so classy that got me so towards it and when i swatched the colors , they were fabulous, plus the stay power is absolutely amazing! 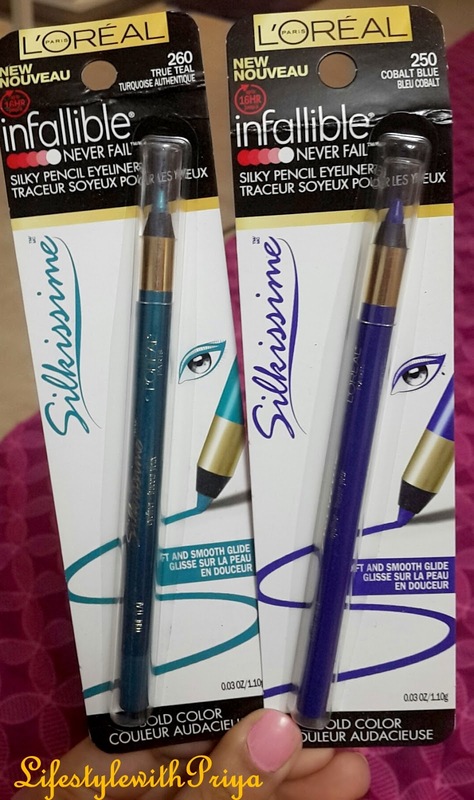 Just look at the beautiful packaging.The pencil is color coordinated with the actual color and the cap is sturdy not flimsy. 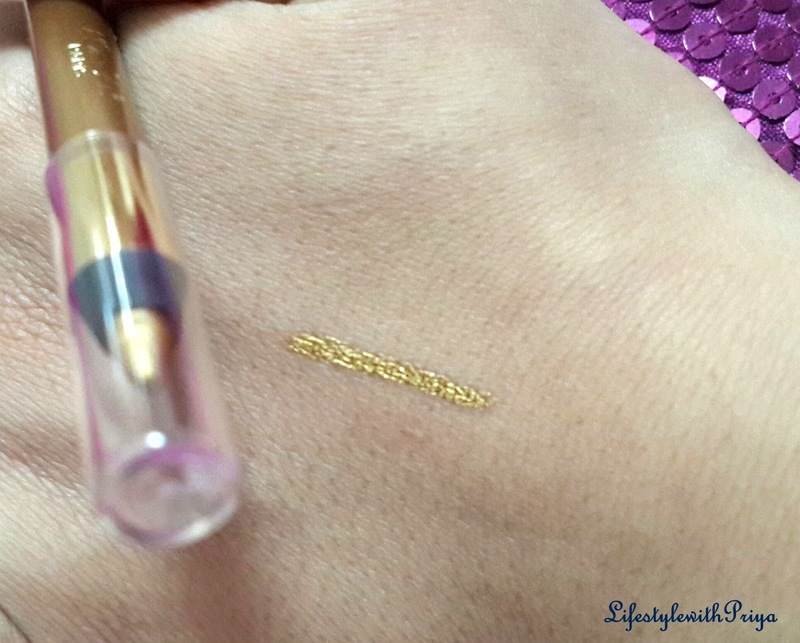 The pencil glides like butter on your hands or eyelids. 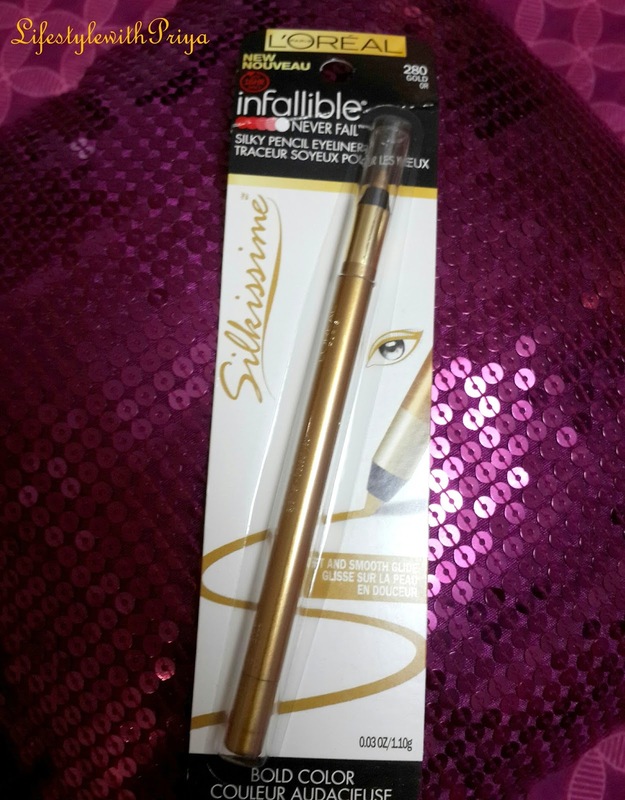 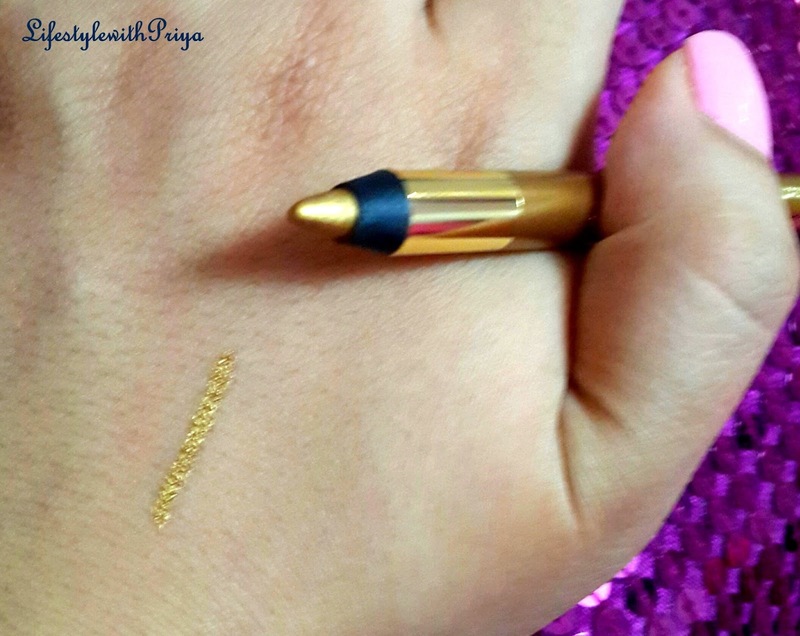 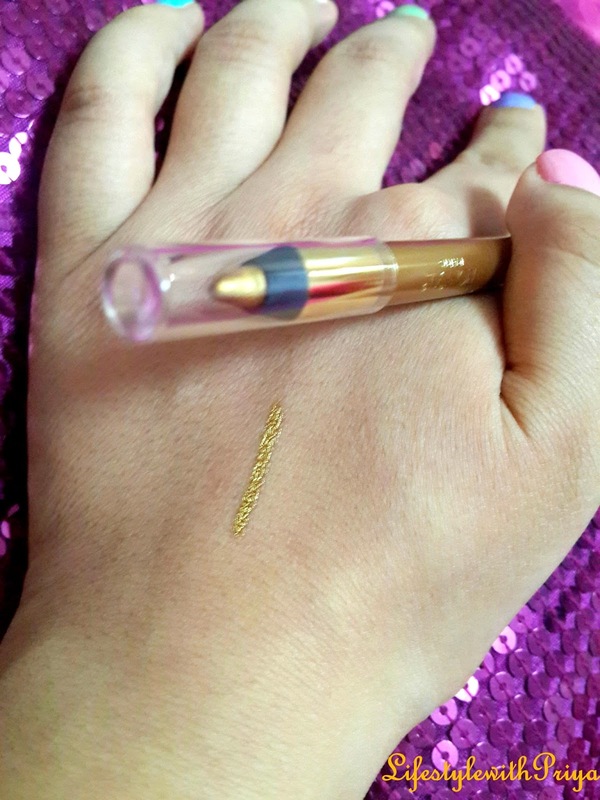 Its such a beautiful gold.Must have if you love to Do Eyemakeup for weddings and parties. 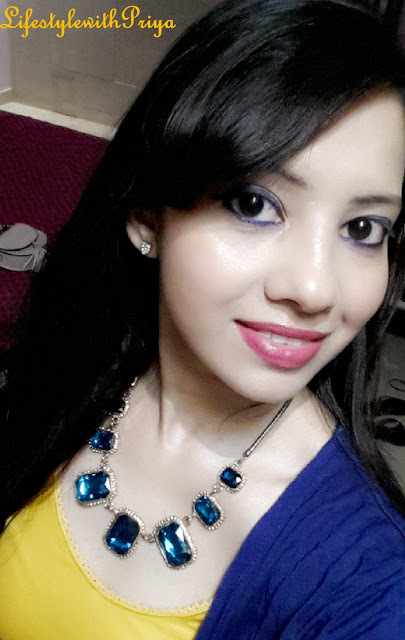 Moving on to the Blues.. 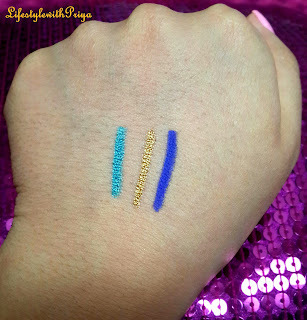 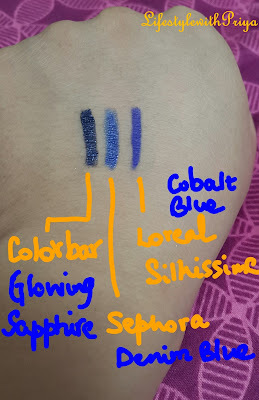 I had many blues in my collection but even if you own a blue it can't be this shade ever, looks similar to a lot of brands like Colorbar /Sephora/lakme but no this is such a unique shade. Also this doesnot have glitter so it is perfect to line your waterline as it wont irritate your eye. 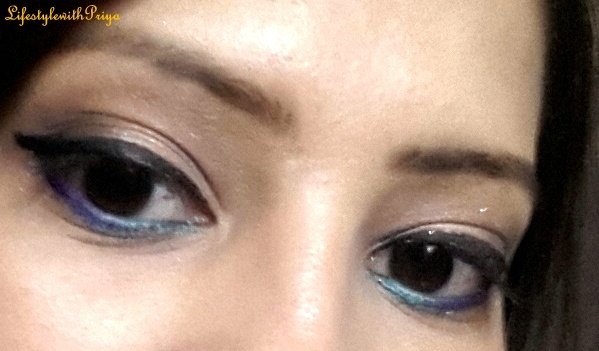 I created eyelooks using it on my lid and waterline seperately and loved how it looks on the eye. 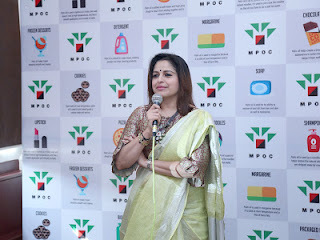 You can wear it With Gold eyeshadow and black kajal in this look. 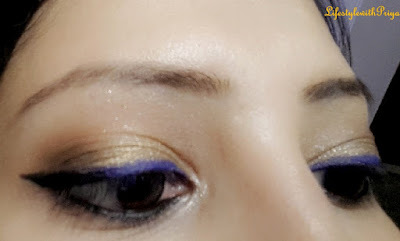 You can even mix it with other liners on your upper lid and it will look something like this..
or you can wear it without any eyeshadow and mix with a little bit of gold & black liner like this.. This is how it would look if you wear it on the waterline. 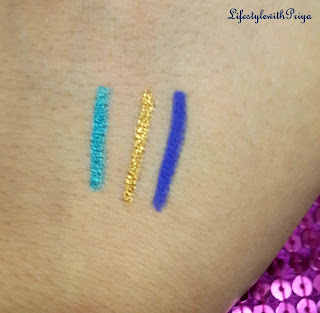 This is such a gorgeous mermaidy teal <3 its a must have..
Show some love <3 and i will be coming with much more nice posts so stay tuned for that. 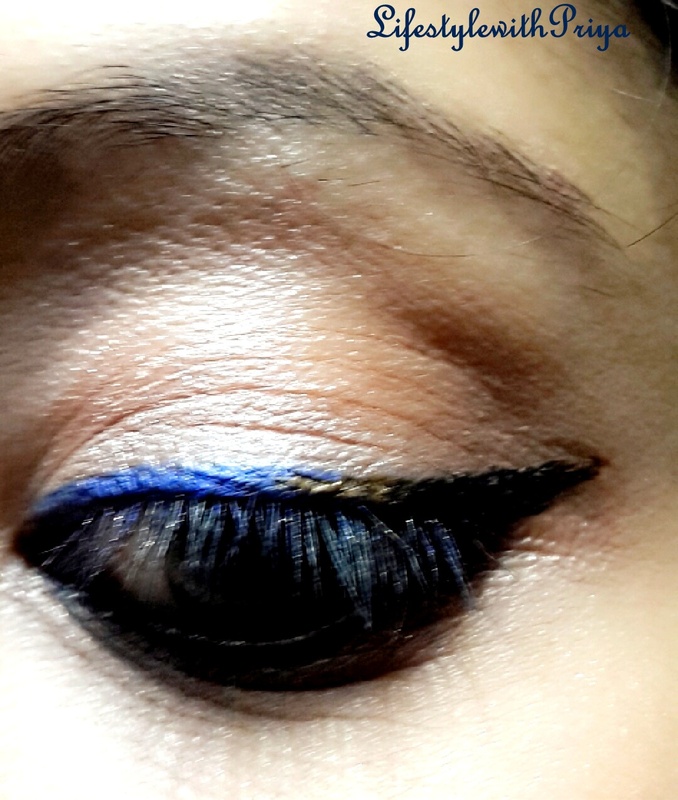 I have cobalt blue and it is so amazing but too soft. 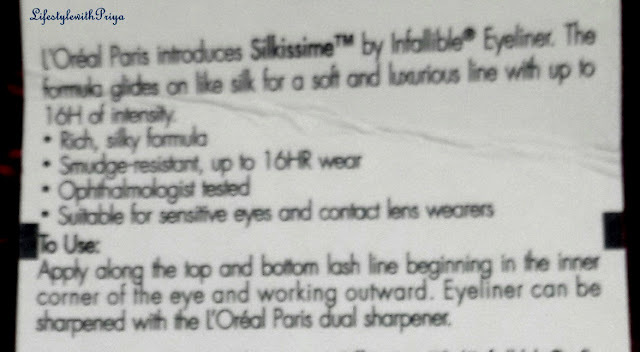 Need to be careful with it. 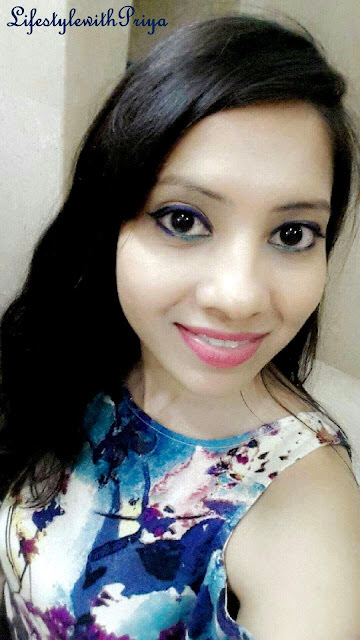 Your are welcome..Glad it helped you Charu..do share the post with friends 😊 it will be great if it helps them too..